I realize 100 donations in one day was a stretch, so I've extended this until Friday, May 4th. I need 83 more donations as of 9:01am 4-27-12 Just $1 will help support a great cause AND solve my dilemma of what to wear! As you may know I am walking in the Avon Walk for Breast Cancer on June 2 and 3. I have not yet reached my fundraising goal of $1800 so I am BEGGING for donations. Any amount will do even $1, yes just $1. But that $1 will not only help breast cancer research it will also give you the chance to see me IN PUBLIC in my pink robe and slippers with NO MAKEUP! 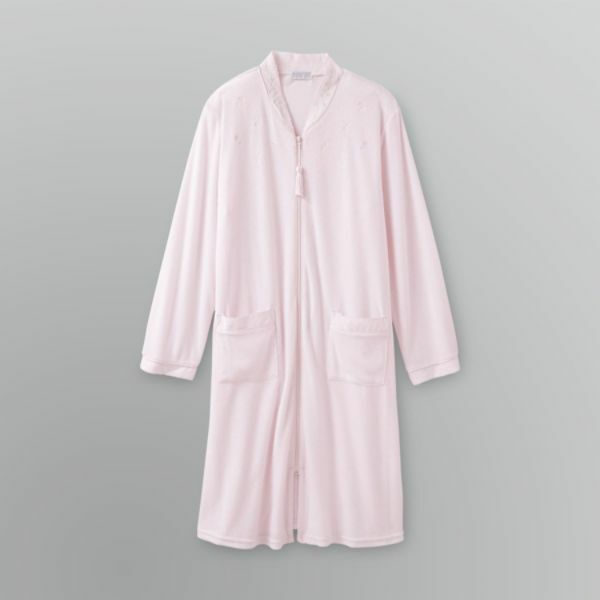 That's right....if I can reach 100 donations for $1 or more TODAY April 26, I will attend the #BBSUMMIT12 in my robe and slippers. Cross my heart and hope to die, stick a needle in my eye. Not going to #BBSUMMIT12, so sad. I'll post pictures so that you know I'm true to my word. ...more like this, because I'm a practical kind of girl. Repost this, retweet this, get the word out! Here's my donation link http://bit.ly/RitaAvonWalk or you can Paypal me at megryansmom@sbcglobal.net just put Avon Walk in the memo. With curlers, too?!? And a teddy bear? Good luck, Rita! Great idea. Good luck, you brave woman! Really? You'd better post a pic because I sent my donation! Well, I sent it the other day but I still want the pic, lol.